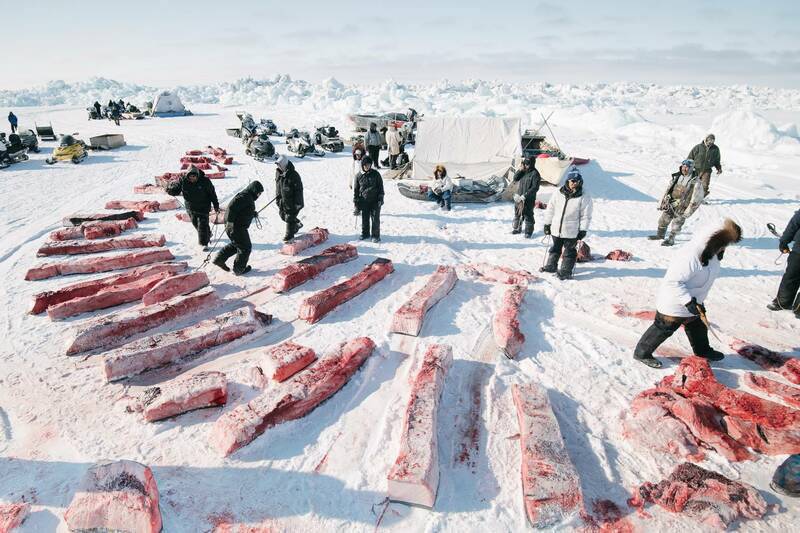 Division of whale meat and blubber is governed by Iñupiaq tradition and followed strictly by whaling crews. Here, the niñit, or community shares, are equally apportioned, and even the whaler's share will be given away at Nalukataq, the summer whaling festival. The tradition of gifting ensures that less-fortunate members of the community benefit from the bounty of successful whalers.